We saw Toshiba announcing the world’s first 64GB SDXC memory card as early as August last year, and today Panasonic followed up [JP] by unveiling a 48GB and 64GB SDXC card, together with a USB card reader [JP] supporting the SDXC format. Both cards are in the Class10 speed range and feature a transfer rate of 22MB/sec. Panasonic says they were able to store six hours and 20 minutes of full HD video footage (1,920×1,080 resolution AVCHD format) on the 48GB card and even 8 1/2 hours on the bigger model when they used the cards with a Panasonic camcorder. The company claims it’s possible to store 6,890 high-quality pictures (4,000×3,000 resolution) on the 48GB card and 9,330 of those pictures on the 64GB model. 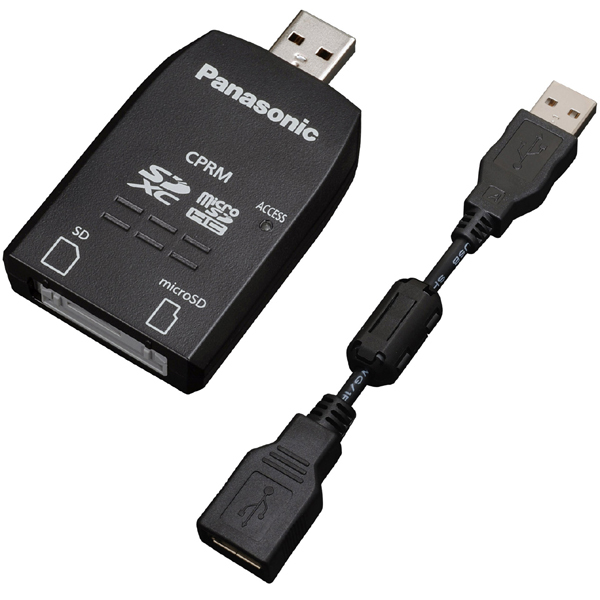 Panasonic also unveiled a USB card reader that supports SDCX/SD/SDHC/microSDHC/SD cards for Windows machines (XP/Vista and 7). The cards and the reader will go on sale in Japan on February 19. 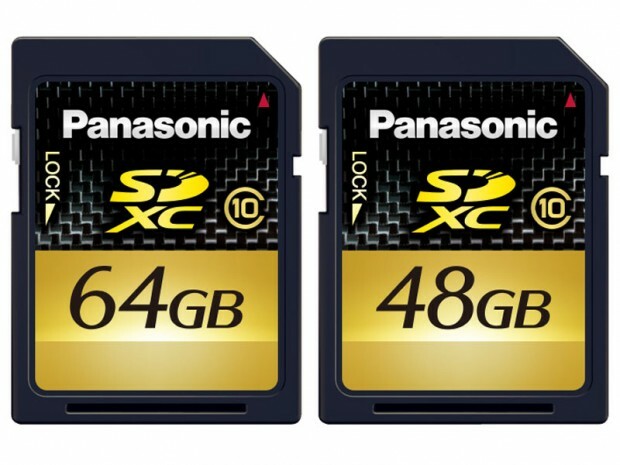 Prices: $550 for the 48GB SDXC card, $700 for the 64GB version and $55 for the USB reader.